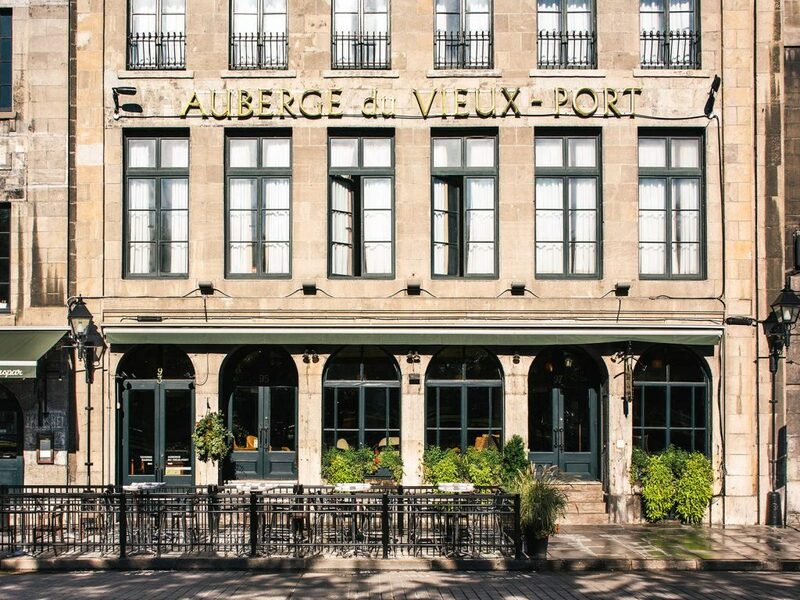 We warmly welcome you to the Auberge du Vieux-Port, located by the Saint Lawrence River. Our staff is dedicated in providing you with a personalized, unforgettable stay in the heart of Old Montréal. Formerly a 19th-century warehouse, Auberge du Vieux-Port is a charming Old Montréal hotel, featuring a convivial restaurant, rooftop bistro and unique event spaces. Our 45 rooms merge 19th-century architecture with modern sensibilities. All rooms have oak or pine floors, and many have post and beam ceilings, and stone or brick walls. Originally a 19th century warehouse, Gaspar’s kitchen offers soulful staples with a charming and friendly service. Come join us for pub-inspired fare with live music and great cocktails. In the summer, the festivities spill out onto our charming outdoor patio facing the port. In the mood for a drink and some sightseeing? In the summer, come to our Terrasse sur l’Auberge where the views are incredible and give you the perfect outlook on the Old Montreal. Fresh ingredients, shining sun and Aperol Spritz are awaiting you! Our cozy and charming auberge is housed in two historic buildings – the Hector Lamontagne Heritage Building, and the Victor-Hudon Building – both dating back to the 19th century. Our historically inspired Old Montréal hotel offers a private meeting space, a comfortable lounge and a terrace overlooking the city. Our hotel pays homage to the city’s illustrious past – with original brick and stone walls, old oak floors, and casement windows looking out onto St. Paul Street or the St. Lawrence River. It’s an ideal spot for exploring Old Montréal’s galleries, shops, restaurants and historic monuments. As our most notable guests, subscribe to our newsletter and be the first to know about our events and promotions. Sorry, we couldn't register this email!